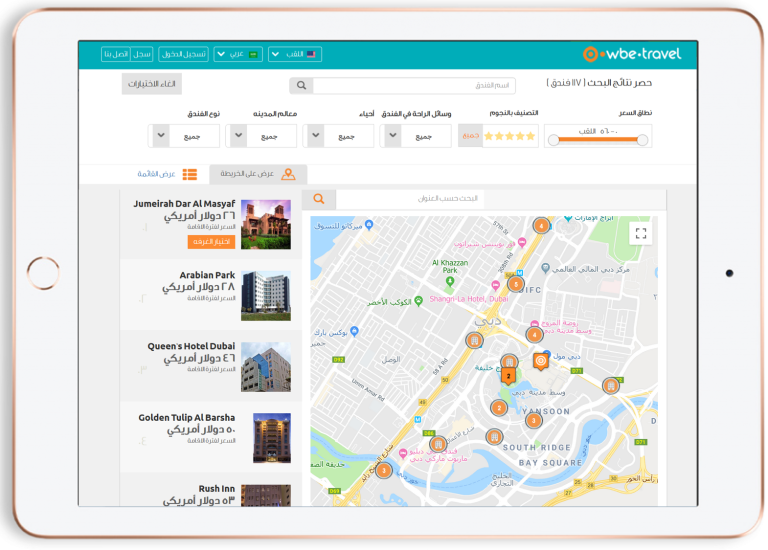 wbe.travel offers a fully featured Arabic travel booking system so you can benefit from the huge potential of delivering travel services to the Arabic speaking travelers from all over the world. Just like the big booking websites, wbe.travel has adapted the software in order to dissolve the language barrier. We want to make sure that our clients make the most of their business so in order to ease the interaction with the potential travelers we offer Arabic right-to-left interface and content, such as: and content: airports, calendar, destinations, hotel names, descriptions, facilities, POIs, rooms types. 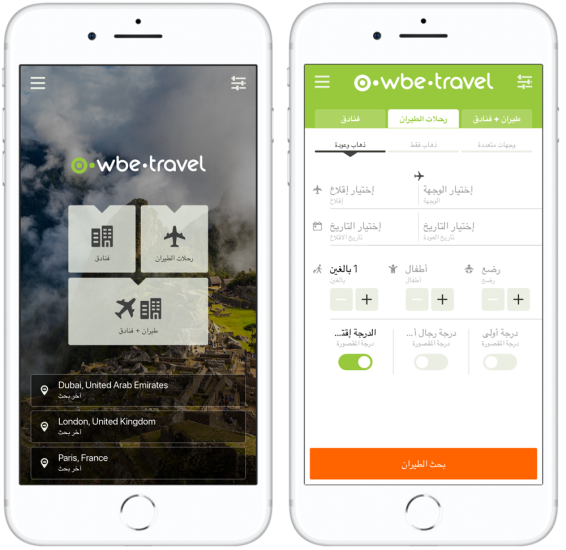 wbe.travel has built for you a beautiful Mobile Travel Booking App in Arabic + 10 other languages with Dynamic Packages of Hotels + Flights, all based on your hotel contracts + GDS flight agreements.